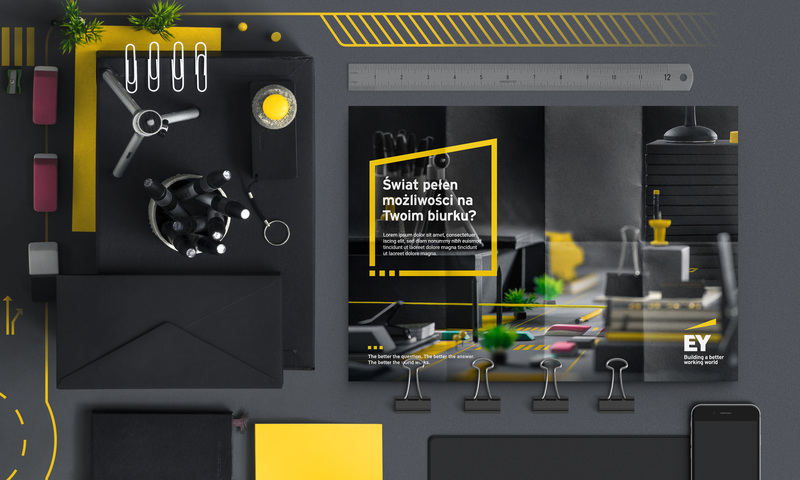 Concept and key visual for employer branding for EY Poland. 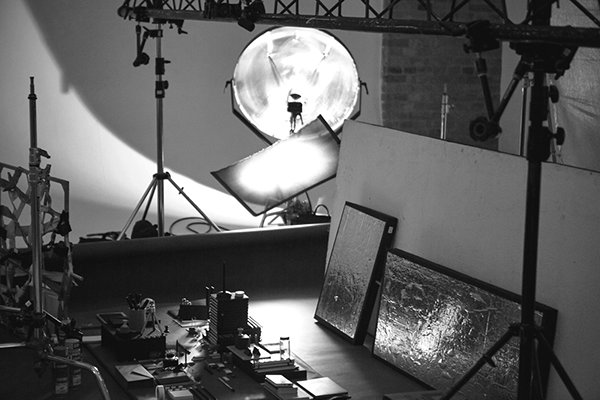 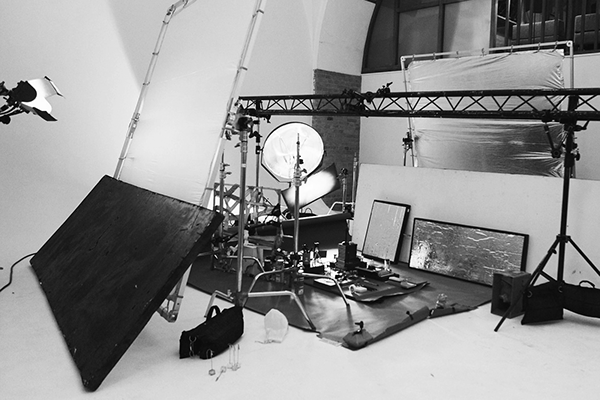 We were commissioned to create a communication concept, photo session (Studio Bank / Warsaw) and key visual for the project. 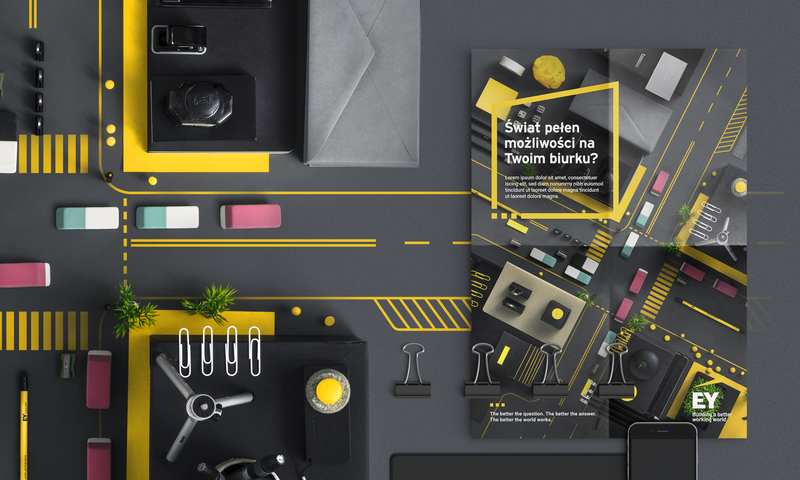 Our key visual represents one of the most attractive aspects of working for EY Poland: the whole world can be within reach – right on your desk. 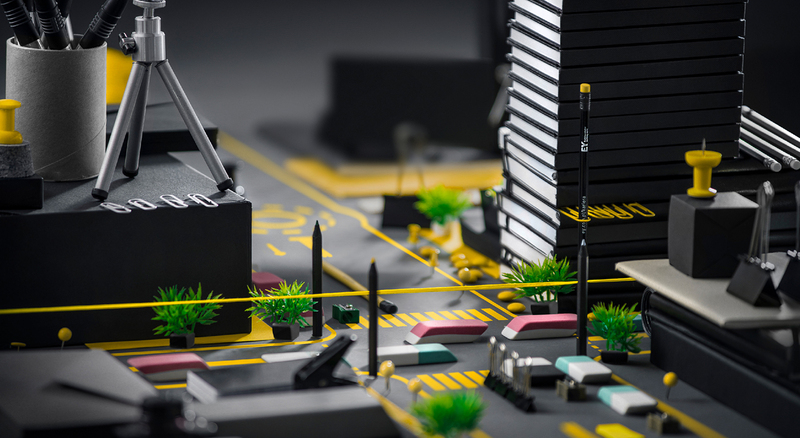 To illustrate this idea, we created a miniature cityscape made of office supplies. 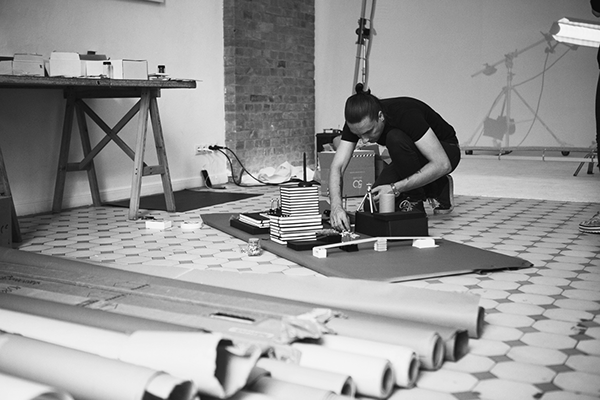 We built skyscrapers out of notebooks, we made buses from erasers and spires out of tacks. 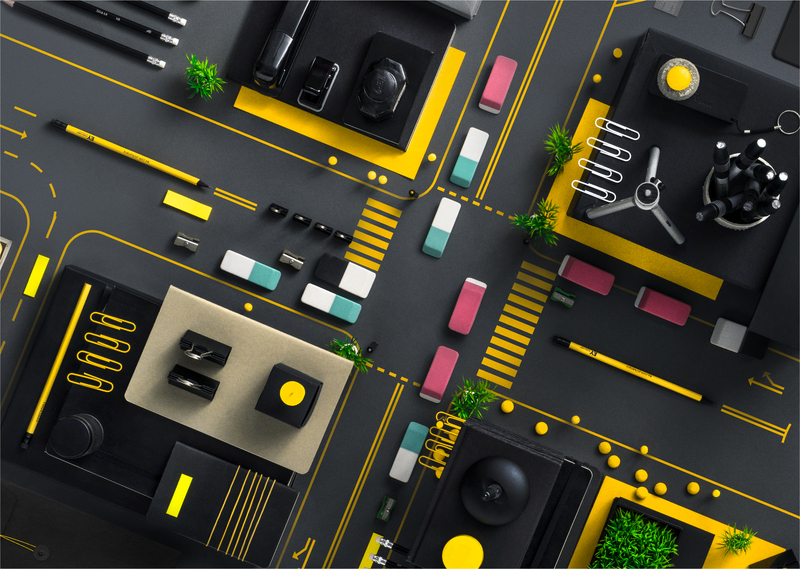 This way we created the world of EY – the world full of possibilities.